*At a restaurant* Would you like a table? No, not at all. I came here to eat on the floor. Carpet for 5 please. No, not at all. I came here to eat on the floor. 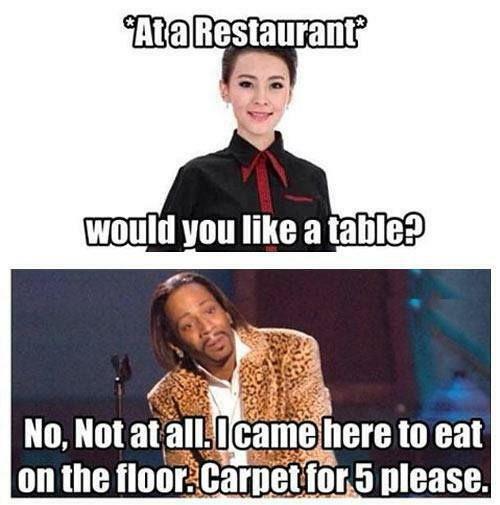 Carpet for 5 please.